Home > Interviews > Interview with Tsinghua Tongfang Vice President Liang-hai Wang: Tongfang Opto a Vertically Integrated LED ..
Tsinghua Tongfang Company Limited, one of the most representative companies in China, has begun the establishment of its LED manufacturing base in Nantong in August, 2010 and started the production in August, 2011; over just one year, Tsinghua Tongfang has completed the first stage of the establishment comprising two plants and installed 16 MOCVD equipment, which is expected to be 48 and in place for production by the end of 2011. Tsinghua Tongfang’s excellent progress and considerable investment have made a splash in the market. How does Tsinghua Tongfang succeed as a LED chip maker and what is its strategy in the LED industry? From the perspective of the Chinese market, what will unfold in the future? LEDinside conducted an interview with Mr. Liang-hai Wang, the Vice President of Tsinghua Tongfang and asked him to illustrate the aforementioned issues as well as the reinforcement Tsinghua Tongfang is able to bring to the Chinese LED lighting market. In addition, LEDinside asked Mr. Pang-fei Lee, the Assistant General Manager of Tongfang Opto, to share his experience in the industry. Tsinghua Tongfang, founded on June 25th, 1997 and listing on Shanghai Stock Exchange on June, 27th of the same year, was renamed Tongfong Company Limited on May 30th, 2006. Tsinghua Tongfang consists of several subsidiaries, covering ten major industries such as computer, digital city, Internet of things, microelectronic and radio frequency technology, media, solid-state lighting, knowledge network, military, digital TV, and environmental technology. As one of the subsidiaries, Tongfang Opto is Tsinghua Tongfang’s endeavor to break into the LED chip industry, aiming to launch a series of high-quality and mass-produced LED chips in the market and supply not only Tongfong Company but also other clients. Tongfang indicated two development paths in the LED lighting industry: one is establishing its own core technology and striving to become the top player in the industry; the other is providing services for the big enterprises at the risk of losing core competence over time and being eventually eliminated from the industry or forced to reform. Tongfang chose the former as it is in common with its strategy. Wang indicated that on August 8th, 2010, Tsinghua Tongfang started the establishment of Tongfang Opto’s LED production plants in Nantong, Jiangsu. During the one year, the plant establishment and equipment installment were greatly supported by the Nantong City Government and the China Development Bank. The total capital of the first stage amounted to RMB 3 billion, which is expected to total RMB 70 billion if including that of the second stage. Such considerable capital will be solely dedicated to LED chip business, with RMB 1 billion and 2 billion invested in MOCVD equipment and chip-related equipment respectively. Wang estimated the industrial base to generate revenue of over RMB 2 billion and profit tax of almost 500 million per year and to create 2500 job opportunities. Wang stated that with the establishment of LED industrial base and LED Semiconductor Technology Center, Tongfang Opto not only aims to take the technologies of Chinese manufacturers to the next level and break up the monopoly of foreign LED chip and high-end product makers, but also propel the development of raw material, LED component, package and application industries. He indicated that new chip manufacturers’ businesses usually takes off with small-size chip, and then expands to a larger-scale production. The goal of Nantong base is to excel at LED backlight and LED lighting manufacture in China and then make its way into the global market. Mr. Pang-fei Lee, the Assistant General Manager of Tongfang Opto, pointed out that Tongfang, whose MOCVD equipment are mainly from Aixtron (Germany) and Veeco (America), plans to expand its LED chip capacity to 5 million in the future. He further point out another feature of Tongfang Opto’s LED project: an independent LED technology center as pertains to the R&D of LED chip, which can prevent the company from solely focusing on equipment production. The LED technology center will be equipped with two sets of MOCVD equipment for the purpose of researching and developing, in the hope of enhancing Tongfang Opto’s technology strength and product competitiveness. In addition, Tongfang Opto’s Beijing plant generates a considerable capacity due to the amount of MOCVD equipment it installed, and 48 sets of MOCVD equipment will be installed in the second stage. Currently, Tongfang sets to increase the amount of MOCVD equipment to 100, which is tentative and may change in response to the market dynamic. Lee also stated that presently, the LED wafers produced in Nantong base are all 2-inch, but the MOCVD equipment is compatible with 4-inch LED wafer production as well, which saves the cost of purchasing new equipment in the future. As a newly-founded company, it is safer to take a conservative path, which is the reason behind Tongfang Opto’s dedicated focus on 2-inch wafer. Such a measure makes the capacity arrangement more flexible. Tongfang Opto’s Beijing plant, whose chip capacity per month is up to 20,000, is designated for manufacturing high-power chip in the future, while Nangtong base, on account of its high capacity and ability to support the backlight demand, will be focusing on the production of mid and low-power chips. 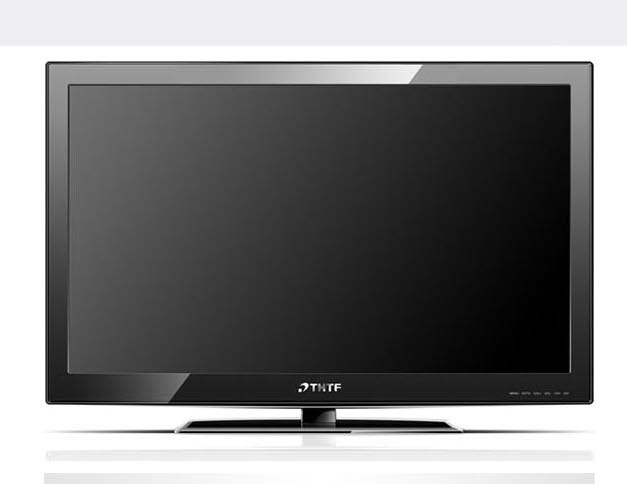 Tsinghua Tongfang integrates the resources and launched TVs that can provide online services such as TV shopping, entertainment, online classes with assorted applications, which can replace other household electrical appliances. Currently, Tongfang has been on a joint effort with Tsinghua University, which is celebrating its 100th anniversary, in terms of technologies. Due to Tsinghua Tongfang’s LED chip and package capacities and the resource of its LED backlight module plant, Tongfang Opto is able to produce high-quality LED backlight products, notebook panel, and LED monitors. Wang also pointed out that mobile device is another target market for LED backlight; despite the low price of mobile device backlight, the demand is huge. Wang stated that aside from supplying the LED backlight demand for Tsinghua Tongfang’s LCD TVs, the company is also planning to cooperate with Chinese and foreign LCD TV manufacturers. He believed that as the technology progresses and the capacity and demand increase, Tongfang is optimistic about the future of LED backlight market. On the other hand, among Tongfang’s LED products, the LED components are mainly exported to the lighting subsidiary of Tongfang and possibly to other package and lighting product manufacturers in the future. Over the recent years, the Chinese LED industry has mainly focused on end-market applications with low technology threshold and added value. Due to their limited R&D strength, most of the Chinese LED lighting manufacturers provide OEM services for foreign manufacturers instead of producing lighting products with high technology threshold. Tongfang Opto aims to supply the backlight demand of the mobile device and lighting product industries, and the Chinese package and lighting products maker are expected to benefit from it. Presently, the LED package manufacturers Tongfang cooperates with are foreign companies, but a joint effort with Chinese and Taiwanese makers is on the horizon. Both Wang and Lee were optimistic about the prospects of the global lighting market, and stressed that Tongfang will be embarking on this upcoming market opportunity. Its LED products will not only be used by Tongfang’s subsidiaries, but also enter the market. They believed that as the LED light bulb price drops below RMB 30, the development of the Chinese market will accelerate. The average selling price of LED light bulb in Japan has fell below JPY 2,000 due to the high maturity of its market. For Japanese consumers, LED light bulbs with prices set around JPY 1000-2000 are acceptable, since the consumption level and income level are relatively high. On the other hand, Chinese LED light makers need to compete with incandescent light bulbs, the penetration rate of LED light bulb will unlikely increase without competitive prices. So far, the Chinese government has not announced the policies for LED and energy-saving lighting, but it is expected that the market dynamic will change greatly once the policies are announced. In light of that currently the mid and high-power LED products in the market, including PAR light, lamp and light bulb, all require LED chips, Tongfang is planning to put more emphasis on the said sector and believed that the demand for outdoors lighting will surpass that of indoor lighting. Tongfang’s in partnership with several foreign companies, which can not only help it acquire overseas market share, but also sell total solutions to building owners and enterprises. Tongfang is endeavoring to establish a worldwide presence once the market becomes more mature. They stressed that only when Tongfang breaks into the retail market can it be considered a success. Different from other Chinese LED chip makers, Tongfang has the support from the corporate and specific exports for its respective products. For example, Tsinghua Tongfang’s LCD TV and monitors used to adopt LEDs produced by other manufacturers, but after Tongfang started to manufacture LEDs, it hopes that Tongfang will provide 50% of the demanded LEDs for its products, and purchase the rest from the other companies. With its strength in sectors such as LED wafer, high-end LED TV backlight module, high-poer LED package and LCD TV, Tongfang Company is on the way of becoming the key player in the Chinese LED industry. The high-brightness white, blue, green LED epi wafer manufactured by Tsinghua Tongfang’s Nangtong base are expected to largely impact the development of raw material, mid-stream LED component and package, and downstream LED application industries.